Mag Instrument Inc. CEO Tony Maglica and the company will be recognized during the 21st Annual Conference at the National Archives Conference (NAC) on Friday, Oct. 26. The conference is part of the American Veterans Center's Annual three day veteran's conference. ONTARIO, Calif. /California Newswire/ -- Ontario, Calif.-based Mag Instrument CEO Tony Maglica and the company will be recognized during the 21st Annual Conference at the National Archives Conference (NAC) on Friday, Oct. 26, 2018. The conference is part of the American Veterans Center's Annual three day veteran's conference. Mag Instrument is being recognized for its commitment and on-going support of the U.S. military for the past four decades. The annual conference is attended a number of the U.S. Armed Services leaders and high-ranking Washington D.C. officials, as well as some 400 military cadets and midshipmen and Reserve Officers' Training Corps (ROTC) high school students from throughout the country. The award presentation will be held prior to luncheon and Tony Maglica, Jr. will receive the award on behalf of his father and the company. "It will be an honor to be amongst such dedicated Americans who work tirelessly for the freedoms we enjoy," said Tony Maglica Jr. "Mag Instrument is committed to aiding our military troops and first responders with some of the finest lighting tools they use in ensuring our safety and liberty. "These men and women are the lifeblood of the American way of life. We at Mag Instrument are grateful to be receiving this award but we are more honored to be able to help our troops in staying safe. We are indebted to each and every person in uniform." In addition to receiving the award at the NAC, Maglica, Jr. will also be participating in the Sat., Oct. 27 culmination of the three day conference at the American Valor dinner "A Salute to Our Heroes." Maglica, Jr. will present an award to Commander Dean "Diz" Laird, the only 'Ace' pilot to have shot down both German and Japanese aircraft during WWII. "The American Veterans Center is excited with our partnership with Mag Instrument, especially considering all they have done for our military, first responders, and veterans," said Tim Holbert, executive director of the American Veterans Center. 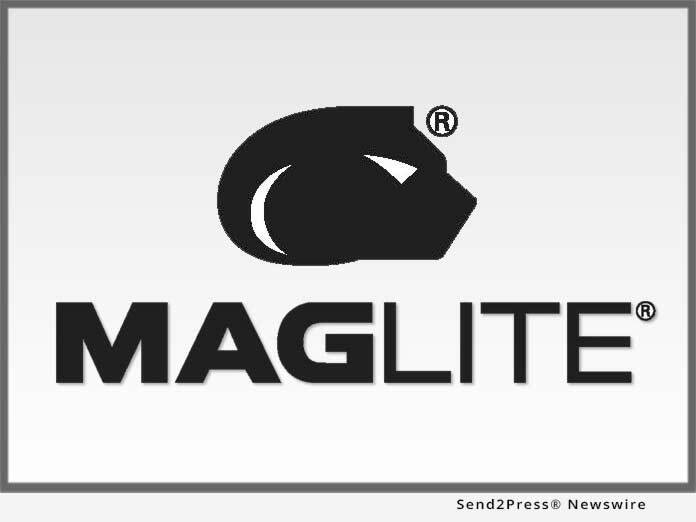 Mag Instrument Inc., manufacturer of the Maglite(R) flashlight, is proud to be a U.S.A. manufacturer. Each flashlight is a result of an obsession with fine engineering, craftsmanship and a commitment to perfection. Founder, owner and president Anthony Maglica has guided his company's growth from a one-man machine shop in 1955 to an enterprise that has proudly employed thousands of American workers since it produced its first flashlight in 1979. For more information visit: https://maglite.com/.